Over the course of last week, attention was focused on two key points in the Middle East. These points are Syrian Aleppo and Iraqi Mosul where operations are being carried out to liquidate terrorists. In the first case, Syrian and Russian forces are carrying out an operation, while in the second one, an international coalition headed by Iraqi forces and Peshmerga (in fact, the army of the autonomous region of Iraqi Kurdistan) is in charge. The situation with Aleppo is more or less clear. Aleppo is a key node located near the border with Turkey. Various terrorist groups, some of which are supported by the West, are concentrated in and around the city. The situation in Mosul is different. Mosul is a strategically important point, which opens the road to the North of Iraq and then to Syria and Turkey, as well as to the south of the country. In addition, oil fields, which are the engine of the Iraqi economy, are situated in its immediate vicinity. The United States’ intervention in Iraq in 2003 created uncontrollable chaos there. Washington realized its mistake only much later, even after the appearance of ISIS, the core of which was made up by Al-Qaeda militants and the commanders of the Iraqi Special Republican Guard that were all held at the same place under arrest during US occupation. Now Washington is trying to rectify its mistake by rendering support to the Arab part of Iraq through Baghdad, as well as the Kurdish autonomous region directly through the capital, the city of Erbil. The Centre for Joint Operations was established in Erbil on the basis of which the military forces of the US, Germany, France, the Netherlands, and Canada conduct operations. The first violin belongs to Washington. In February 2015, the international airport in Erbil actually became a US Air Force base at which multipurpose and military transport helicopters, spy planes, and drones are based. US Secretary of Defense Ash Carter visited Erbil on October 23rd and proposed to improve the US’ strategy by purposefully assassinating ISIS leaders. The conventional efforts of American forces are obviously not enough to overwhelm ISIS. On Friday, an American instructor died when his car was blown up by a homemade explosive device which was placed by terrorists around Mosul. Moreover, ISIS members use unmanned aircraft packed with explosives to attack the vanguard of the anti-terrorist coalition. Snipers and suicide bombers, regularly undermining armor and troops, have become the norm in the battle for Mosul. 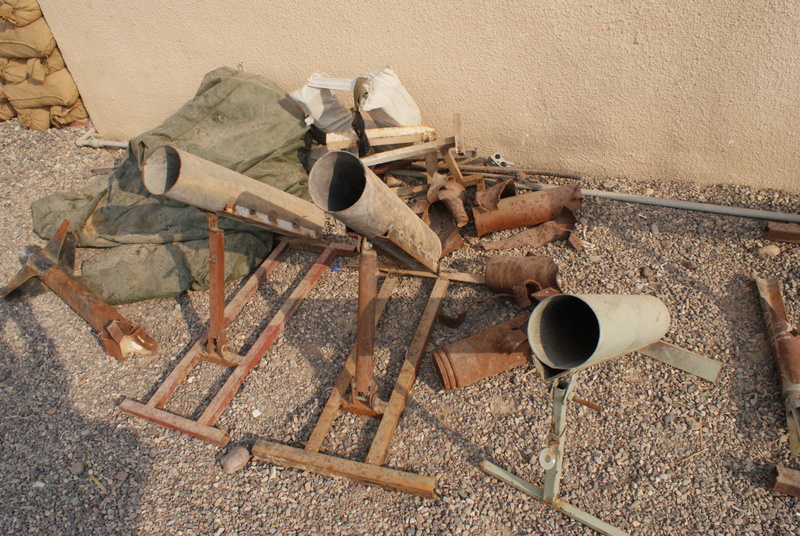 Besides, ISIS has succeeded in creating improvised mortars, ammunition, and reconnaissance means. 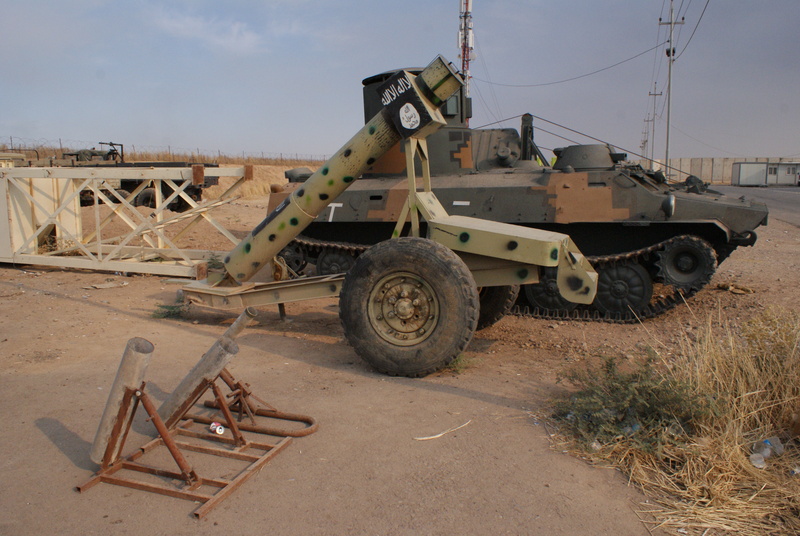 At the military base of Peshmerga, there are trophy “Black Tigers” captured from ISIS which show the ingenuity of the terrorists. Taking into consideration the fact that among the ranks of ISIS there are citizens from the EU with technical education, it is clear that their knowledge serves the jihadists in their destructive purposes. Together with the Western coalition, Kurdish Peshmerga, Iraqi forces, and also Shiite militias are actively participating in the operation. Last week, an unprecedented agreement was adopted between the Kurdish autonomy and official Baghdad. Peshmerga coordinated joint actions with Iraqi forces, as reported by Field General S. Barzani. The Kurds have given the Iraqi military a corridor to the north of Mosul to effectively encircle the city. There is no such agreement with the Shiite militia, as Peshmerga is nervous over the Shiite militias which are advancing from the south and could make problems in the Kurdish areas. On Friday, October 21st, in trying to distract the main force of the assault on Mosul, ISIS terrorists attacked a power plant in Kirkuk and seized a hotel in the city. There was also an attempt to capture a school. Peshmerga, the local police, and Asayîş security forces tracked down a group of 70 people and destroyed the group’s active part. The ensuing firefight lasted until Sunday, October 23rd. The last terrorist blew himself up. Part of the terrorists, including the organizers of the attacks known as Abu Mustafa, Abu Mohamed, az Ezawi, Abu Ali, Abu Ghassan, Abu Yahya and several others, were arrested. Local Arabs were found to have helped terrorists during the attack. So-called “sleeping cells” were activated through which the terrorists managed to get into the city and carry out the attack. Moreover, it is important to note that today the city of Kirkuk is home to a mixed Arab-Kurdish population. 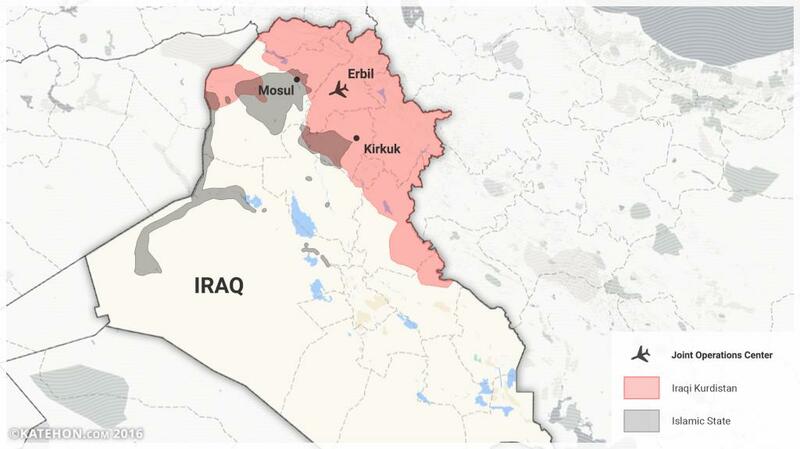 Saddam Hussein began to carry out an assimilation policy in the area, but now Kirkuk is part of the Kurdish autonomy. The participation of the Arab population in the terrorist attack worsens their situation. The full resettlement of the city is the most drastic possible measure, although this issue will have to be negotiated with Baghdad. The issue of internally displaced persons is not a new problem for the Kurds. About one million refugees are found across the territory of Iraqi Kurdistan, both from the regions of Iraq engulfed by the war as well as from neighboring Syria. Rather, the real problem is the Turkish presence. Two weeks ago, the Turkish Armed Forces entered the territory of northern Iraq, justifying such by the need to combat ISIS. However, the main part of the force stopped at 20 km north-east of Mosul in the Ba'shiqah camp. Neither the US nor Kurdish Peshmerga gave approval for further advance. However, relations with the Turks may change. On Sunday, at the request of Peshmerga, Turkish forces supported the Kurds with tanks and artillery. Rumors about the geopolitical ambitions of Turkey concerning both Aleppo and Mosul have no real substantiation. Turkey is most likely trying to demonstrate its capabilities with minimal involvement in the conflict. The capture and liberation of Mosul will probably take two months. The situation is seriously complicated by the fact that there are many civilians in the city. Carpet bombings, which the Americans like to do, are unacceptable in the case of Mosul. Meanwhile, the US special operations forces in the ranks of the coalition do not have combat experience in Iraq. This is true for at least most of the American troops, as the author and former US career military intelligence officer, Michael Philip Pregent, officially confirmed during his visit to Erbil. The US is situationally acting together with the Iraqi forces and Peshmerga, providing aid in the field of intelligence, training, and equipment. This lack of strategy, of course, will delay the success of the operation. ISIS will try to hit somewhere in the other direction, including within Europe. Moreover, even after the defeat of the terrorists, there is a high likelihood that they will merely reorganize.